There are a lot of workout games for the Wii. What are they? Are there any good? Here’s a comprehensive list of all the fitness games released for the Wii that should help you find the right exergame for you. These are games specifically released as workout games, as opposed to all physically demanding games. Aggregate review scores, review information and a brief description have been included when possible. For recommendations on great workout games, read this list of the 7 Best Workout Games for the Nintendo. Description: Based on an exercise DVD series. Aims at giving you an aerobic workout. Description: Celebrity tie-in pilates game. I played it for about five minutes and was shocked by how ineptly it was done. Peripherals: Comes with a resistance band. Description: Effective strength training that watches your movements through the Wii remote and nunchuk and often uses a resistance band to simulate weight training. Peripherals: Comes with two motion monitors to wear on your leg and non-Wii-remote-holding hand. Supports balance board. Description: This much-expanded sequel gives you devices in each hand (one is the Wii remote) and one strapped to your leg to follow your movements. Description: This follow-up adds more workouts to the basic EA Sports gameplay. Peripherals: Comes with two motion monitors to wear on your leg and non-Wii-remote-holding hand. Description: A workout game with exercises patterned after football training. This doesn’t seem to have received any reviews from critics, suggesting EA didn’t send it out to any. But it’s pretty well liked on Amazon.com. Peripherals: Uses the Balance Board for one set of exercises. Uses Wii MotionPlus for a single mini-game. Can be played with one or two Wii remotes. Description: ExerBeat has a variety of workouts including Aerobics, Pilates, Karate and various Latin dances. It uses onscreen arrows to tell players how to move their arms. Description: Fit in Six has workouts including Pilates, calisthenics, kickboxing, and Latin dance, but lacks common features like a calorie counter and the ability to create your routines. Peripherals: Supports the balance board. Description: This game, which consists primarily of punching a virtual punching bag, consistently makes critics list of the top Wii workout games even though there aren’t a lot of actual reviews of it out there. Description: This sequel focuses on Latin dance and kickboxing. Description: After the 2009 version received a critical drubbing, two more versions were Released: in the next two years that were pretty much ignored by the critics altogether. Description: Kid-oriented fitness game. This only has ten reviews on Amazon.com; not a big seller. Description: This game apparently doesn’t use any technology to measure how you do, but rather just has you follow along with its many different workouts. Description: This sequel combines exercises with “healthy recipes.” Also unlike the first one it apparently uses technology to track your movements. Judging from user reviews on Amazon.com, a lot of people who loved the first one were very disappointed with the sequel. Peripherals: Supports balance board and MotionPlus. Description: Yoga and Pilates. There are no reviews from critics regarding it. But the handful of people who have reviewed it on Amazon.com seem to like it a lot. Description: Fitness game targeted at kids. Description: Cardio, upper- and lower-body circuit routines, and yoga. Description: A sequel that hasn’t received many reviews, but which is apparently of a similar quality to the original. Peripherals: Supports balance board and dance pad. Description: Game for kids in which you walk on a balance board or dance pad or just carry the nunchuk in your pocket. Some reviewers say that they found the game pointless, but it has many tremendously favorable reviews on Amazon.com. Description: Wii Fit is a fitness game focused on balance exercises, particularly Yoga, and was introduced with the Balance Board. 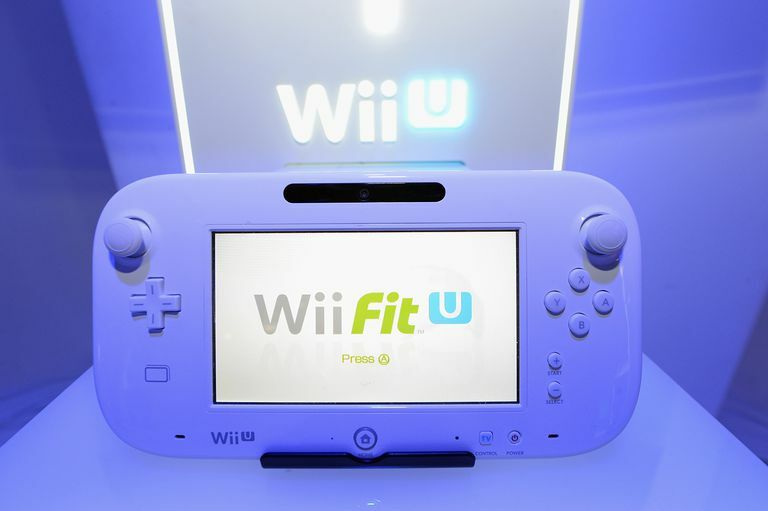 After a year or so, Nintendo replaced the game with Wii Fit Plus, which is an improved version with some additional exercises and more entertaining mini-games. Description: Poorly received Wii yoga game. Description: Jenny McCarthy leads to aerobics classes. Instead of using the Wii remote, your movements are gauged via camera. Peripherals: Comes with a belt to hold the remote.